SBC Recycle has been collecting and recycling electronic and computer related equipment in the Portland Metropolitan and Vancouver area for decades. Our customers know that their computers, laptops, monitors, phone systems, servers, printers, and more are recycled in a safe and environmentally responsible way. We strive daily to protect the planet as well as the sensitive and personal data of our customers. Why Choose SBC For Your Recycling Needs? Cost varies according to the distance that our truck has to travel to pick up your items. We only charge for items that are costly and difficult to recycle. FREE pick-ups for companies that recycle 25+ qualifying items. Contact us to find out more. WE WILL PAY for large quantities of specified and new items. Contact us to find out more. We offer same or next day pick-up services to companies or organizations with large volume recycling needs (100-plus items to recycle). Our recycling process is hassle free and customer friendly. We have an easy to follow 4 step online process to get your pickup scheduled. Schedule online today or give us a call to assist you. Your mouse and keyboard will be dismantled and sorted at our facility. We make sure to recover plastic, rubber, wire, metal, and Mylar from our keyboards. Mice are taken apart and recycled for their plastic, wire, and circuit boards when applicable. All of these material are send to other companies to be put back into circulation. 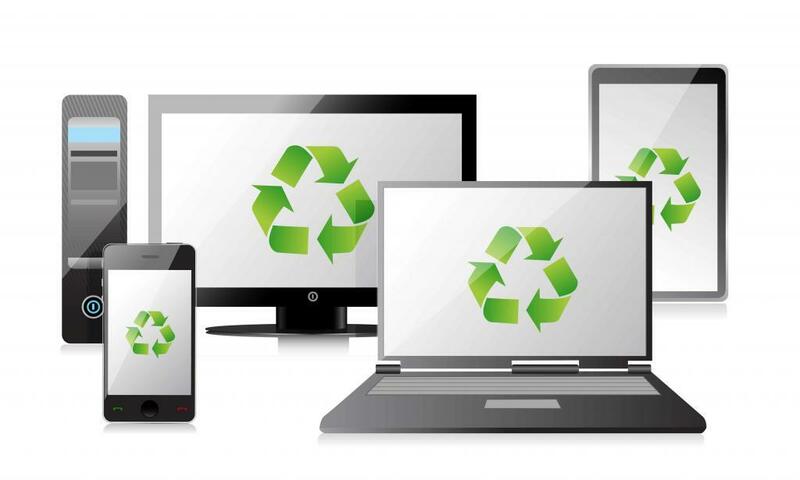 We recycle laptops responsibly, the metals can be put back into circulation, decreasing the need for new metal mining. We can recycle small or medium printer that a person can easily carry on their own. We also recycle large expensive printers that larger corporations use for a network. Servers, Phone Systems, and More..